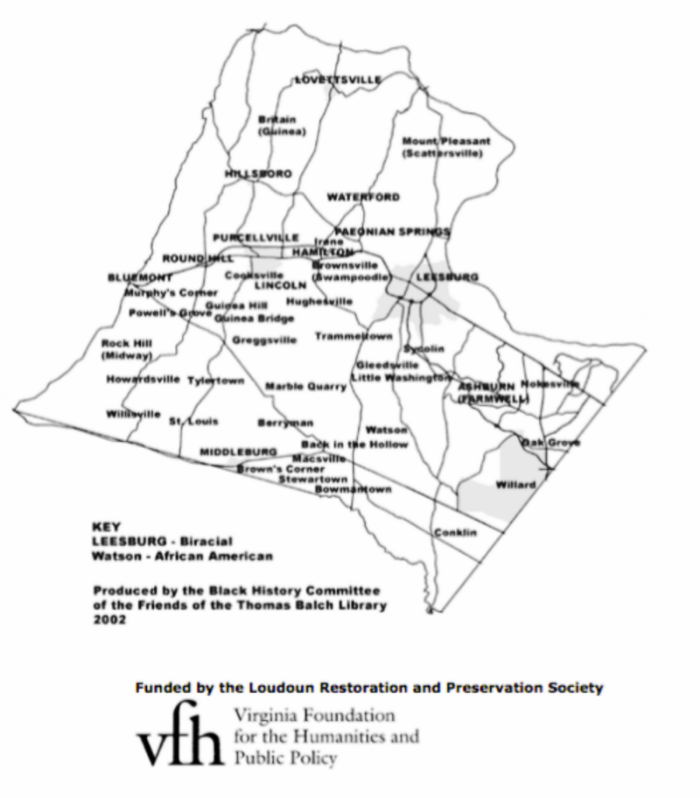 The landscape of Loudoun County reflects the industry and achievement of African Americans in the post-emancipation years. Together they created, in the words of an African American folk saying, "a way out of no way." They shared what they had and invested tremendous energy in family, home, work, education, worship, and fellowship. Of the settlements they build, many survive today, including St. Louis, Mount Pleasant (Scattersville), Howardsville, Irene, Conklin, and Guinea Bridge. Click here to read profiles of the African American communities sited on the map, below. Click on the map to open it in a lightbox.